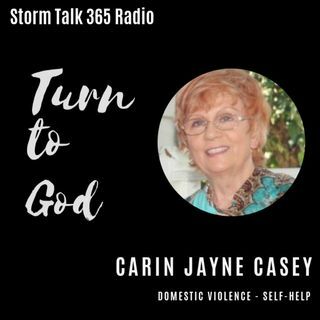 In “Turn to God with Carin,” Carin Jayne Casey encourages us to turn to God in any situation, whether broken or filled with gratitude. When we call upon the Lord for help, he answers us in his own, perfect timing and way. We can experience extraordinary miracles! Casey shares the salvation message through prayer. In Matthew 5:14 we’re told that we are the light of the world, and we should let our light shine, give hope to the world. The word of God and prayer are critical to our Christian ... Maggiori informazioni walk. We should strive to be brave, like Deborah in Judges 5, humble and patient as in Daniel 10, and have courageous faith like Shadrach, Meshach, and Abednego (Daniel 3). Casey encourages listeners to pray for Yeshua’s House in Petersburg, Virginia, a faith-based 18-month transitional home for women overcoming domestic violence and financial issues. Donations can be sent through YeshuasHouse.net.